Sur Sourire, La pilule d'or, 1967. 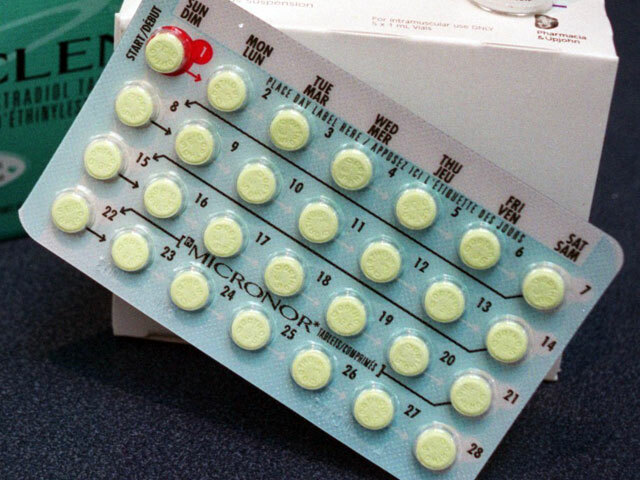 At the request of a woman, Dr. Gregory Goodwin Pincus, an American biologist specializing in parthenogenesis, perfected the first contraceptive pill in 1956. The discovery of this molecule was to be a determining factor. A bomb was launched. It was the beginning of the contraceptive revolution. In 1960, the American government authorized the commercialization of this new product. But many Americans did not wait for permission from the authorities to obtain the desired pill. In 1959, more than 500 000 among them took the necessary means to have it prescribed by their physician to relieve menstrual pain. A few months after the United States, the Conservative government of John Diefenbaker also allowed the sale of the anovulantory pill, but not to all women. Pleading gynaecological problems, Quebecers also purchased the pill. Some physicians were reticent to prescribe it. Women simply went to see more accommodating physicians, informing others of the names of physicians more open to the idea. The pill was quickly embraced by many women. They acclaimed and welcomed it with enthusiasm. Finally, there was an end to complicated diaphragms, so painful to install. The contraceptive pill was simple to use, effective and cheap; stopping its use could lead to conception. The advent of the pill marked the break between sexuality and procreation. Sociologist Evelyne Sullerot wrote that the pill "gave women the freedom to take their time, anticipate things, explore, make mistakes, make plans, get an education, join the labour force, change their minds /.../and, in a word, choose" (translation).